Alexandria Smith, GloryGlory…, 2019 (detail). Mixed media collage installation on canvas and wood. Courtesy the artist. Alexandria Smith’s Monuments to an Effigy takes the histories of The Olde Towne of Flushing Burial Ground and the Macedonia A.M.E. Church in Flushing, Queens as points of departure for an exhibition that evokes an altar or commemorative space. In the mid-late 19th century, The Olde Towne of Flushing Burial Ground was a burial space for African Americans and Native Americans. Parishioners of the nearby Macedonia A.M.E. Church, a landmark for Flushing’s historic African American community, were among those interred at the burial ground. The last burial took place in 1898, and in the 1930s, the Parks Department paved over the site, building a playground in 1938. But–due to the tireless work of many–the site was recognized for its original purpose in 2006 and is now a meditative area that respects the hundreds still buried there. 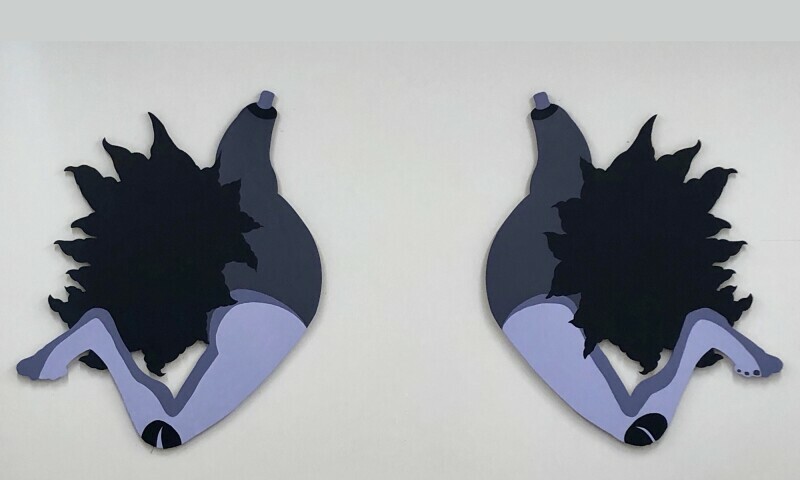 Smith explores narrative, memory, and myth through the lens of the Black female form and psyche. For this exhibition, the artist responds to the stories of those who were buried at the site. Of the four marked gravestones discovered from the burial ground, only male members of the Bunn and Curry families are listed. Smith’s work honors the unnamed women laid to rest at The Olde Towne of Flushing Burial Ground and those who participated in the Flushing Underground Railroad network which included the Macedonia A.M.E. Church. Closed on 4 Jul., Thanksgiving, 25 Dec., 31 Dec.